The GRAMMY Award nominee is getting her own brownies at a D.C. bakeshop. Valentine’s Day is synonymous with sweet treats. Every year, bakeries across the country gear up for this sweet day,and the Buttercream Bakeshop is no exception. The popular D.C. bakery is celebrating by creating something in the image of music and pop culture sweetheart, Cardi B. Buttercream’s chief and chef of pastry, Tiffany MacIsaac, is baking up a limited-edition brownie inspired by the award-winning rapper. 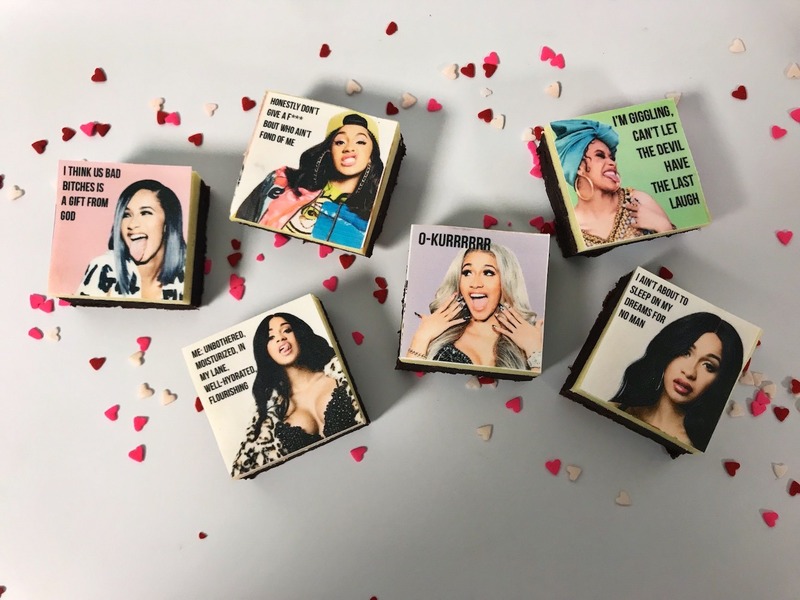 The “Cardi B-Rownies” are gluten-free brownies decorated with six of the rapper’s most famous quotes. Freshly baked and topped with white chocolate pudding buttercream, the brownies are priced at $22 per half dozen. Not only are these brownies tasty; they are also altruistic. For every box of brownies purchased, Buttercream Bakeshop will donate $2 to World Central Kitchen. This D.C.-based organization is chaired by Chef José Andrés and serves people impacted by hunger and poverty all over the world. Cardi B is a rapper and reality star that holds the Guinness World Record for the most simultaneous Billboard U.S. Hot 100 entries by a female. The outspoken rapper has collaborated on singles with Bruno Mars and Maroon 5 and has earned numerous awards in her short career, thus far. She is nominated for five awards at Sunday’s 61st GRAMMY Awards including Album of the Year and Record of the Year. Get your “Cardi B-Rownies” by placing an order by phone or through the shop’s website. 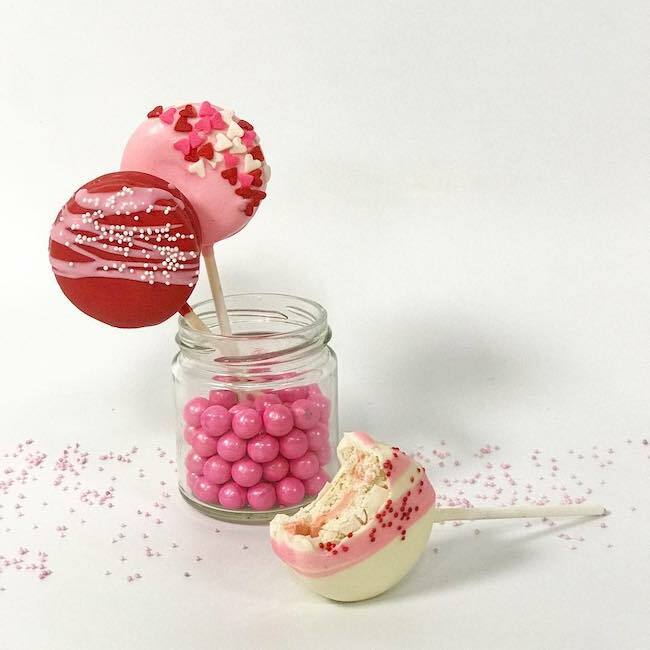 Buttercream Bakeshop will also be offering a selection of Valentine’s Day goodies, including dipped macaron pops, ombre Italian cake, and a decorate-your-own-cookie kit. Order ahead to make sure you get your treats in time for Valentine’s Day. The bakery recently launched its own app, too, where you can place orders, earn points for purchase, and get access to a special monthly recipe. Have you ever been to the Buttercream Bakeshop? What is your favorite item they make? Tell us in the comments below! Ever been to Arlington's best-kept secret? Check out this chocolate boutique in Clarendon!